Generally speaking I really like the Google Hangouts application. It’s a great way to chat and even make calls between parties. The update for Kit Kat is even stronger with SMS integration making it a universal messaging app. One app to rule them all! The one thing I was really hoping would arrive along with the update was a universal conduit for multiple SMS addresses. 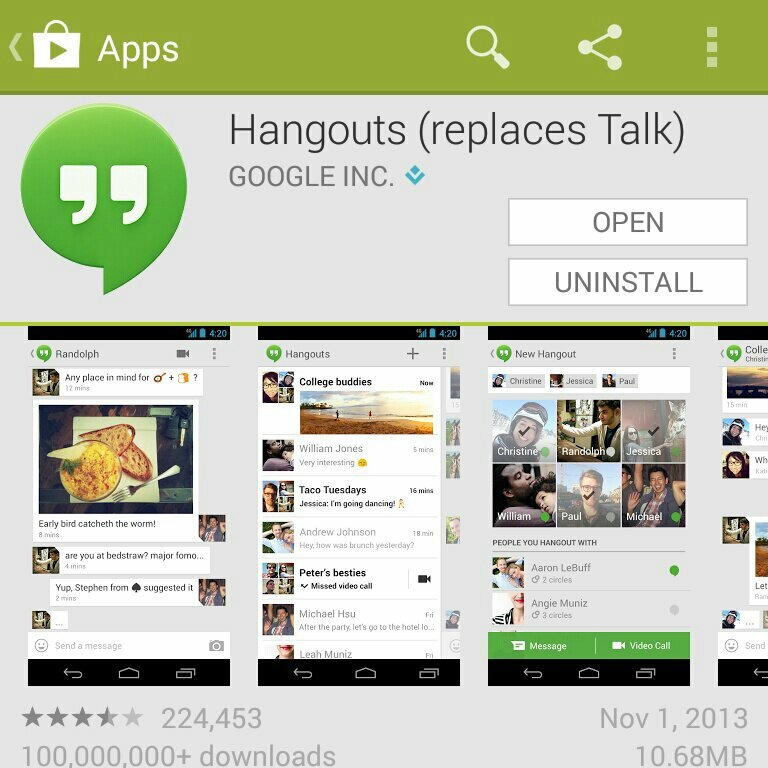 Running hangouts across devices works great and my perhaps optimistic hope was that SMS would also be relayed. Today I tested things using the leaked version of Hangouts and whole things might be slightly different with an updated OS I didn’t see any SMS connectivity across phones. I realize I’m an edge case here but having one base for messages across multiple phones would be a huge win. Apparently just not now. For that matter, Palm had nailed it with Synergy years ago. Not sure they had multi device integration. Synergy was a very cool concept.